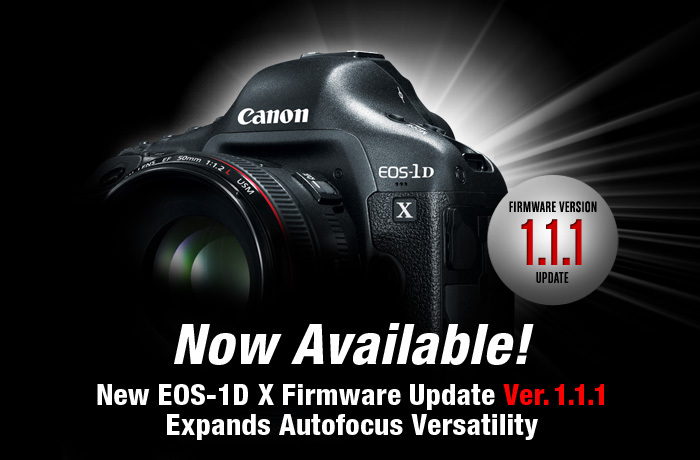 I have downloaded the new Firmware 1.1.1 for the EOS-1D X camera and put it through a few tests. So far I am impressed. It does exactly what Canon claims it will do. Very happy Canon is listening to its customers and responding to their suggestions and 'complaints'. They have also included a detailed guide to the new software update to explain the enhancement further. You can view it here on Canon's website. It opens up a lot of possibilities now that the camera can AF down to f/8. Some even tried to mount the 1.4X extender on the EF 70-300mm f/4-5.6L IS lens. I have tried it and would not suggest this combination. Use the EF 100-400mm f/4.5-5.6L IS lens instead. By the way, don't look for Canon to offer a Firmware to give the EOS-5D MK III the same capability any time soon. They are already underpricing the competition and giving away the store with this feature-packed camera. If you want AF @ f/8, you'll have to shell out more money and get the EOS-1 series of cameras. I will be taking the camera to the Canadian tundra next week to photograph Polar bears and the Aurora Borealis. It should be interesting to see how it comes through under these harsh conditions. 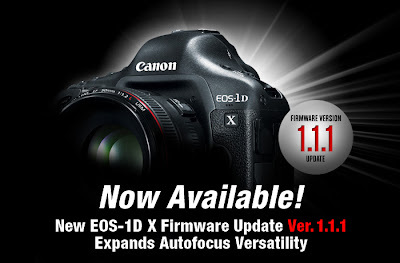 You can read my current review of the EOS-1D X camera here. I will write another review after I return from my photo shoot. Click here to download Firmware from the Canon website.